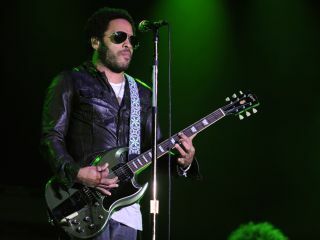 Lenny Kravitz: wants Another Day to see the light of day. Lenny Kravitz has confirmed that the recently leaked Michael Jackson song Another Day was indeed a collaboration between himself and the King Of Pop. Speaking in a video, which you can watch below, Kravitz says that his copy of the track has been "locked up in a vault" since the pair recorded it, adding that the shortened version that leaked on 2 January via Jackson fansite MJStar is unmixed. Kravitz reveals that he wrote, produced and played all the instruments on Another Day, calling the collaboration "one of the most amazing musical experiences that I've ever had". He continues: "I'd like to see this thing [the leak] get straightened out as soon as possible, because I'd like for you the fans, the people who love Michael, to be able to hear the track in its entirety the way it was meant to be". Whether that will happen remains to be seen, but we'd expect this to be just the first of many Jackson leaks to appear in 2010.